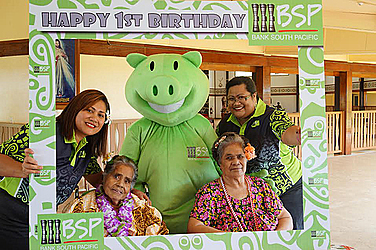 The Bank of the South Pacific (B.S.P) celebrated its first year anniversary in Samoa with a charity visit yesterday. General Manager, Maryann Lameko-Vaai and her staff members took time out from their busy schedule to visit the home of the elders at Mapuifagalele. They provided lunch for the home and presented a gift of $2,000 to help the nuns with the home’s daily needs. Mrs. Lameko-Va’ai said they were delighted to be able to fellowship with residents of the home to mark a very special occasion for the bank. 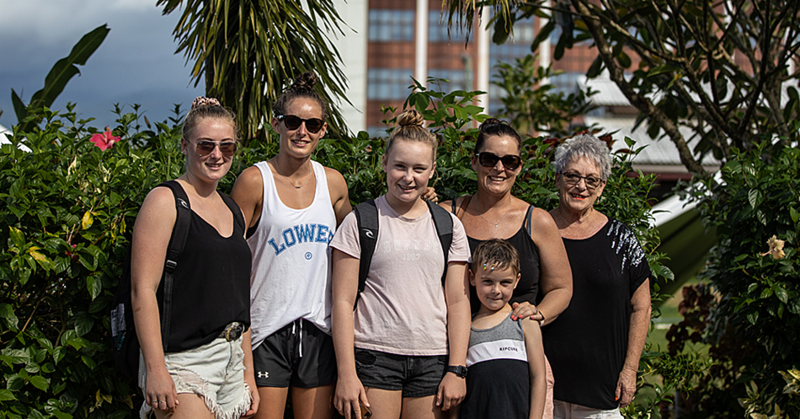 “For this one year anniversary, we wanted to make it special by visiting some of the most important people in our community,” she said. By providing lunch, Mrs. Lameko-Vaai said they wanted to relieve the nuns of their duty even if it is just for a day. 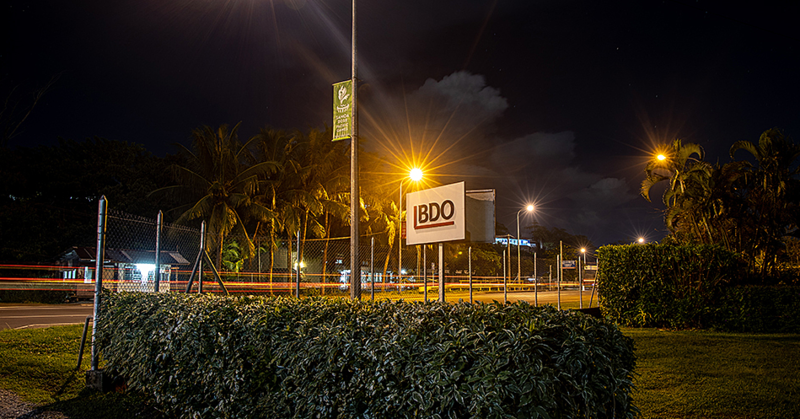 “We celebrated our one year anniversary on Monday with a free sausage sizzle for our valued customers at our main branch in Apia and a birthday cake for all at the sub branches. An elderly member of the home thanked the General Manager and the Bank for their generosity. “May the Lord return his blessings to you for all that you have given today because of us,” he said. 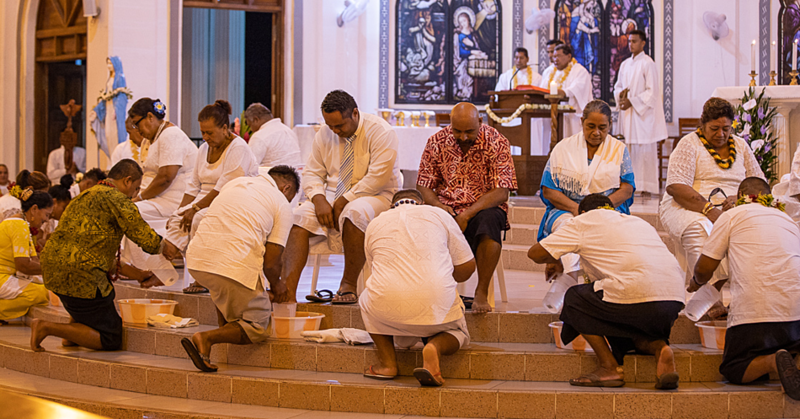 “It is always a pleasure to see that people of Samoa take the time off from their busy schedules to come and visit us.